Dance Dance Revolution 3 is a revolutionary new dance based fitness game that has received many accolades from gaming critics across the world as one of the best ever. I found the game to be very good indeed and it really kept me on my toes through the various workouts that are included in it. I was sweating buckets after 30 minutes but it was worth every penny as I need to lose a few pounds anyway. Brilliant game all round. 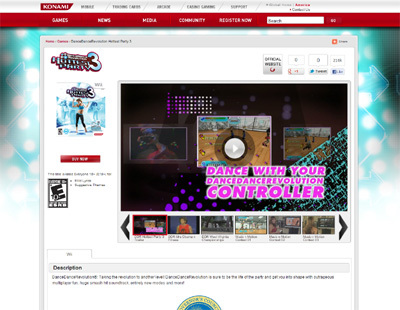 We have also compiled a Review System for this, of which Dance Dance Revolution 3 is Rated as Five Stars, the highest possible score available from the Game Review Team.